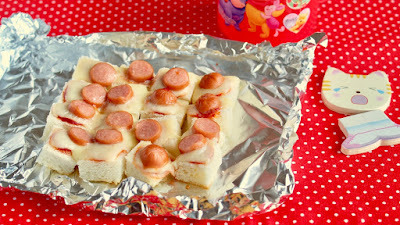 Fun, cute, and delicious way to use up bread crusts, or leftover bread is OK of course. 1. In a spouted measuring cup, mix milk, egg, sugar, and vanilla extract. 2. Place the bread crusts in a flat container. 3. 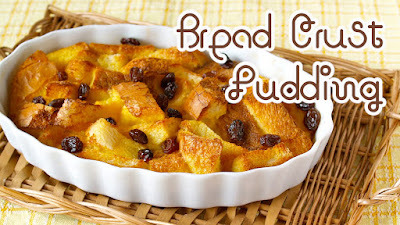 Pour in the egg mixture and soak the bread crusts for about 15 minutes. 4. Fit the bread crusts into muffin rings. 5. Heat butter in a frying pan. Place the muffin rings, cover and cook on low for 2~3 minutes on both sides. *you want to cook on low to cook thoroughly. 6. You can served with maple syrup, honey, chocolate sauce, or whatever you prefer! 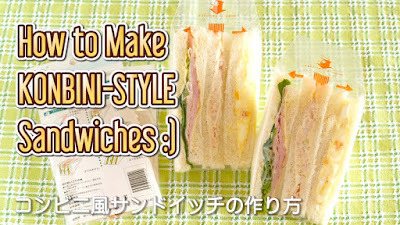 This video will show you how to make Konbini-style Sandwiches, wrapped in plastic bag. Perfect for lunch to go!!! 1. Wash lettuce, then drain well with paper towels. 2. Mix mayonnaise and mustard. 3. Spread (2.) on a slice of bread, place 6 slices of ham, spread (2. ), place a lettuce leaf, spread (2.) on another slice of bread, then top with it. 1. Chop boiled eggs and place them in a bowl. 2. Season with mayonnaise, sugar, salt and pepper. 3. Spread the mixture in the center of a slice of bread. Then top with another slice of bread. 1. Chop onion, wash, then wrap with paper towels to drain well. 2. Place the chopped onion in a bowl, add drained tuna, mayonnaise, salt and pepper, and mix well. Weigh something heavy on top of the sandwiches for 5 minutes to even out. Then cut in half. 1. 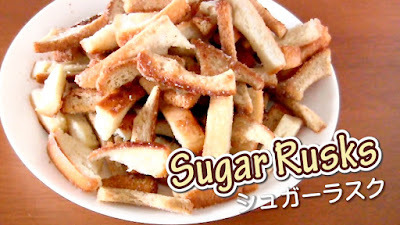 Cut bread crusts into bite-sized pieces. 2. Heat the butter in a frying pan. Add the bread crusts and pan fry them until they are crisp and dry. 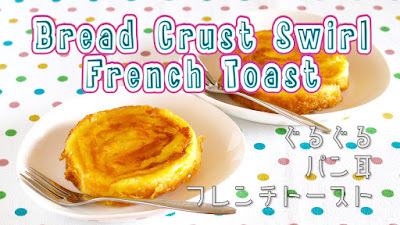 Very easy way to enjoy Okonomiyaki (Japanese savory pancake)! 1. Cut out a slice of bread to make a wall around the edges. Then thinly slice the cutout slice. 2. Mix the bread, shredded cabbage, and Sakuraebi. 3. 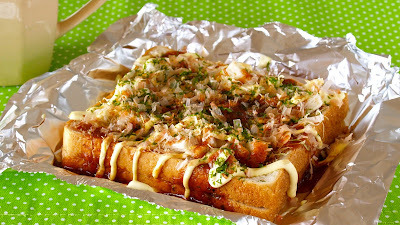 Apply some Okonomiyaki sauce on a slice of bread. Attach the wall with pizza cheese if you have. 4. Place 2 in the middle, make a well in the center and place the egg. 5. Toast the bread until golden. 6. Top with Okonomiyaki sauce, mayonnaise, Katsuobushi, Aonori, and Beni Shoga (if you like). 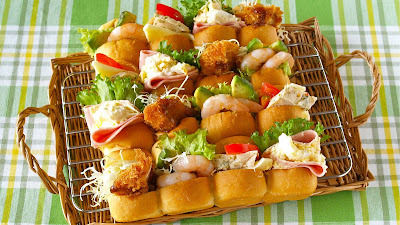 Of course, you can use any kind of bread, any kind of cream, and any kind of fruits!!! ENJOY!!! 1. 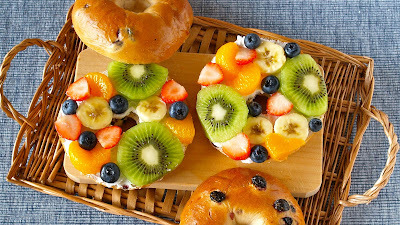 Cut bagel in half (or just slice your favorite bread). Toast until lightly golden if you like. 2. Evenly spread cottage cheese. 3. Nicely place the sliced fruits then trim off the excess using a sharp knife. 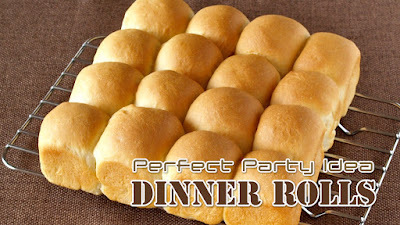 A great idea to enjoy dinner rolls!!! Perfect for upcoming holiday events!!! 6. While proofing, grease the pan with some oil or butter, OR line with parchment paper. 8. Divide it into 16 equal pieces using a bench scraper or a knife. Quickly form them into balls. 9. Place them on a baking sheet, cover with plastic wrap (to keep the surface of the dough from drying out), and rest for 15 minutes. 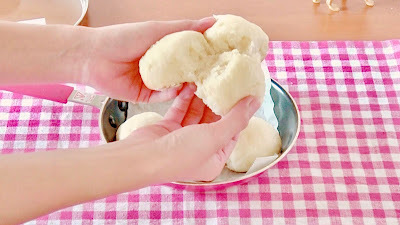 The dough is surprised because you punched, so please let them rest for a while before you start shaping. 10. Form the dough again into balls and place it in the square pan. 12. Preheat the oven to 180C (350F). 13. Bake at 180C (350F) for about 20 minutes or more. 14. Remove from the pan and place it on a wire rack to cool.